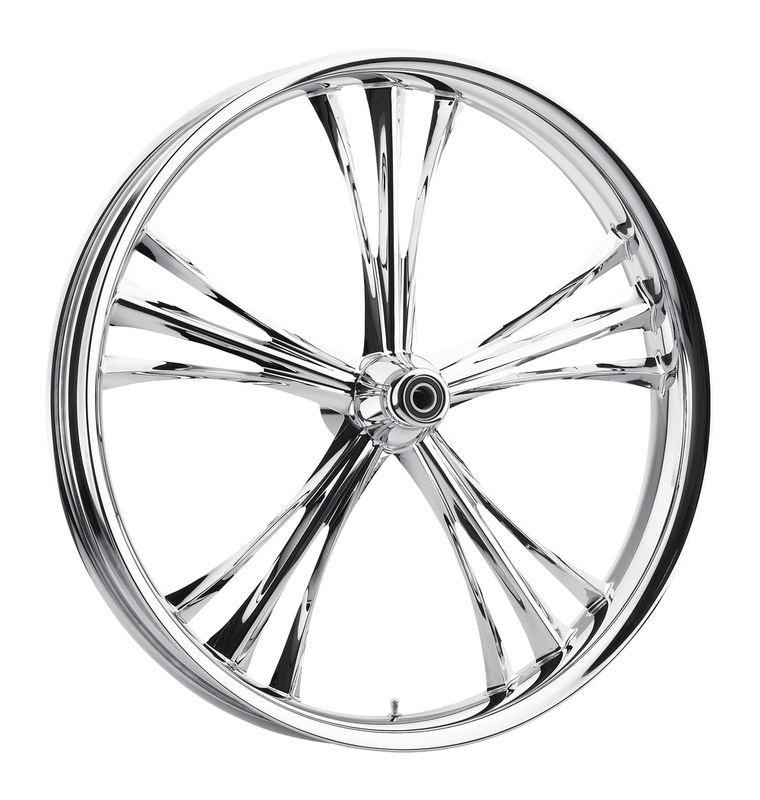 A 21"x3.5" OEM style replacement wheel for your 2008 - 2016 H-D touring bike. One of the many key features that stands out is that the 3.5" width, when paired with the NEW Dunlop 130/60/21 American Elite series tire, you no longer are required to add an ABS module to fix the aspect ratio with your linked braking system! We've been creating one-of-a-kind wheels for over a decade. We are proud to announce that we have added the Mad Shelby to our collection! The Shelby was Mad's very first 2D wheel. The ORIGINAL Bandana print M logo Tee! Full clothing line coming soon! Mad Wheels Inc., a division of Mad Industries Inc.